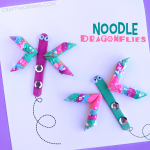 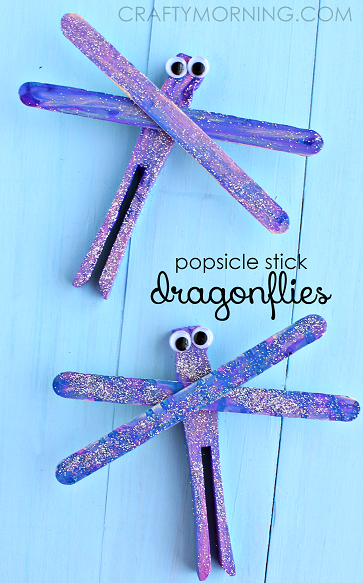 Make some beautiful popsicle stick dragonflies for a Spring craft! 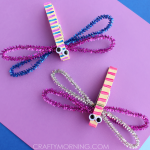 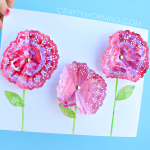 These are so easy and they turned out beautiful! 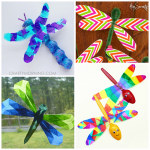 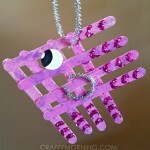 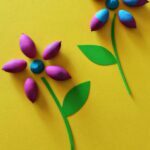 Any child could make these with a little direction…they could also be tons of other colors! 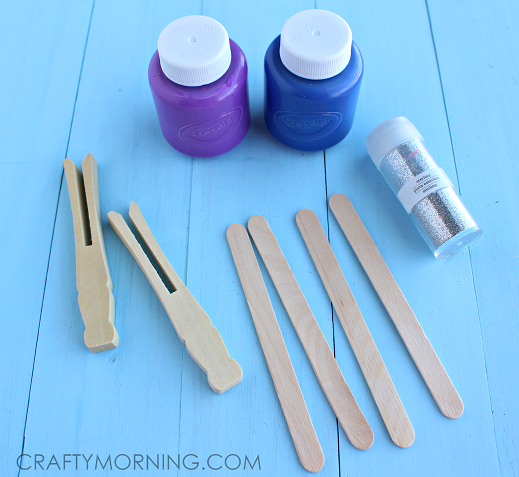 Start by painting all the wood with purple and blue paint. 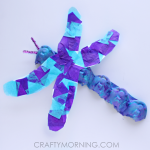 We swirled the two colors together to make a pretty look! 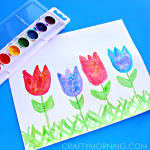 Sprinkle on some silver glitter when the paint is wet. 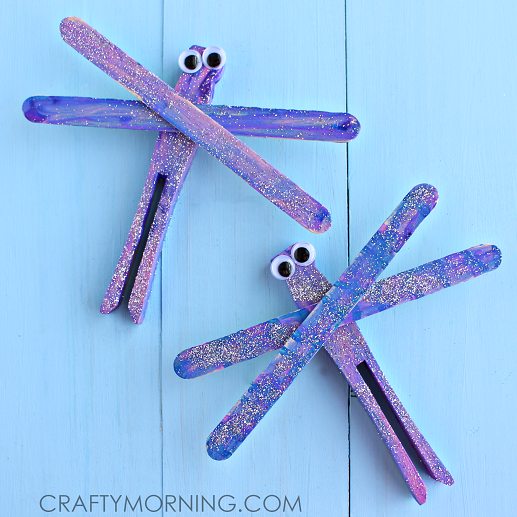 Put two drops of glue on the front of the peg and stick on the googly eyes. 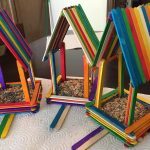 Glue the popsicle sticks criss-cross over the top and you’re done!